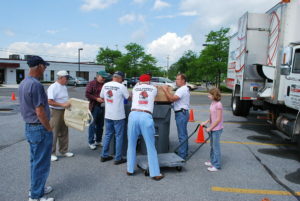 Volunteer patrol of the township is one of the major activities of Crime Watch. It usually is done in pairs and by auto, but also can be done by foot as well. A schedule is developed for the entire year assigning times for volunteers to be on patrol. Those on patrol are trained to follow set procedures and "rules and regulations." Patrols can be identified by the magnetic signs on their vehicles. 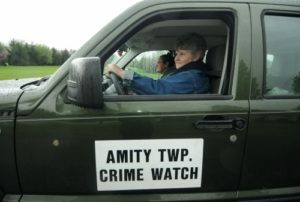 The Amity Township Police Department is aware of the patrols and has approved all aspects of it. Volunteers use cell phones to maintain contact and communicate incidents with local authorities. The police department coordinates areas and times to patrol. Otherwise those patrolling determine the route and try to cover most the township. Those who do walking patrols may be localized to more specific areas but in either case Crime Watch becomes the extra eyes and ears for the police. This procedure has lead to the actual apprehension of criminals. Additionally when potential violators see the marked cars they may be deterred from committing illegal activity in the first place. A 2010 Patrol Log Update (1) is always completed and submitted. Crime Watch patrollers are asked to follow the Rules-and-Regulations and the General-Patrol-Procedures. Monthly meetings are held the third Thursday of every month (except December). Starting at 7:30 pm and usually following the Board Meeting, the meeting generally features a presentation related to crime prevention or a better understanding of the criminal justice system. Local issues are discussed and a liaison officer of the Amity Twp. Police Department is present. The officer is present to answer questions and advise those attending of any current issues. A very brief summary of organizational matters is also reviewed with those attending. All Monthly Meetings are open to the public. 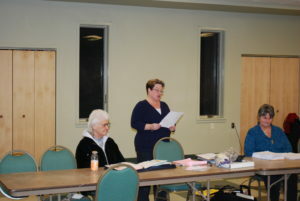 Informative programs are presented at most monthly meetings. Experts from the law enforcement community make presentations involving their areas of expertise or authority. Such programs have not only helped participants prevent or deter crime, but have educated local citizens about the various components of law enforcement. Presenters have included the district attorney, a judge, the sheriff, K-9 Corps, the F.B.I., investigators from many agencies, forensics experts, etc. The programs are informative and helpful in combating crime locally. The liaison officer also has made numerous presentations and keeps everyone knowledgeable of local incidents. Everyone is encouraged to come and learn ways to guard against criminal mischief in the township. Come and check out a presentation. It's fun and really interesting plus it may help protect you and you're loved ones. Visitation to local police facilities and county 911 headquarters. 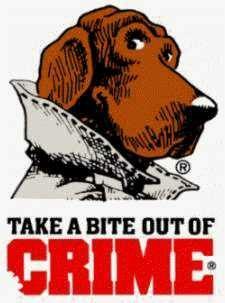 Participate in community events to promote Crime Watch's presence.